Asheville, North Carolina has made top travel lists this year as the number one place to vacation in 2015. That's NUMBER ONE in the U.S, folks. That is huge for North Carolina tourism. We've known about the beauty of Asheville for quite awhile now, and of course, we're all about the hotels on this blog. 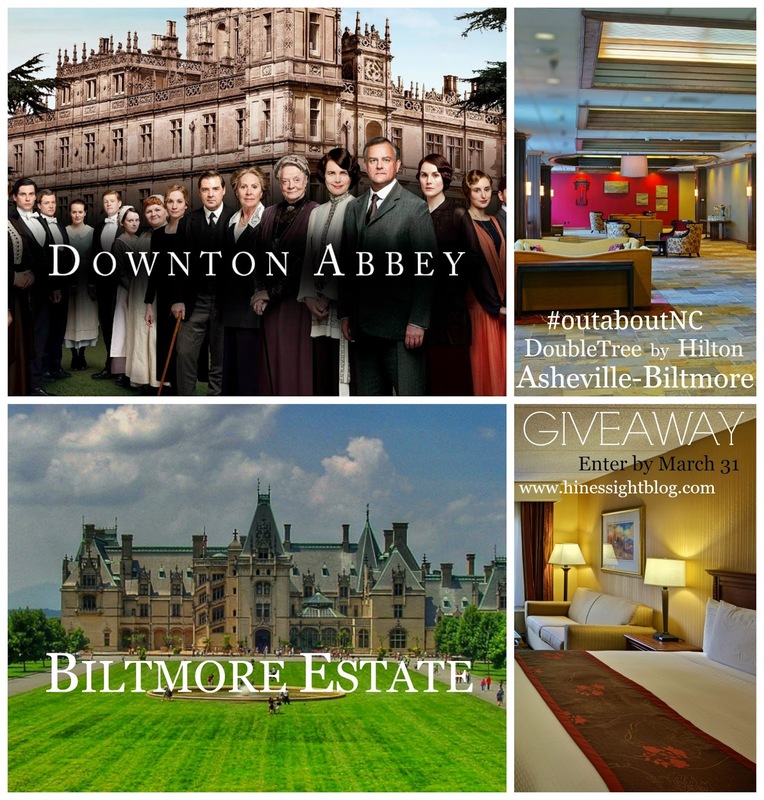 I am so excited to announce that I have partnered with DoubleTree by Hilton Asheville-Biltmore to bring you an outstanding opportunity to experience Asheville, the Biltmore Estate, and Biltmore's Downton Abbey exhibit, which is on display through May 25, 2015. Some important notes about this giveaway: The winner must be able to travel between April 7 and May 25, based on hotel package availability. One winner will be selected at random. Additional nights can be added to your vacation when booking at your own expense. The DoubleTree Biltmore Hotel is located in the heart of Biltmore Village and is 2 miles from Downtown Asheville. It is just a one-minute drive to the Biltmore Estate entrance. It is a full-service hotel with newly renovated rooms. And of course, guests will receive those delicious chocolate chip cookies at check-in. My kids love those cookies. Breakfast is available in the Ducker's Tea Room, and at the new marketplace for breakfast on the go. This hotel is also pet-friendly and kid-friendly. That's good since I have two kids and we'll be checking this package out for ourselves in the spring. Kids will enjoy the indoor pool and there is a fitness center on site, too. 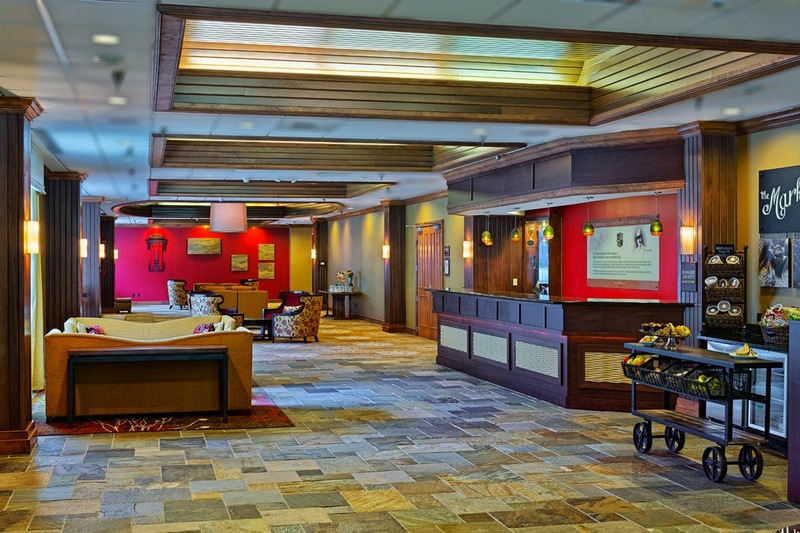 The DoubleTree by Hilton Asheville-Biltmore is located at 115 Hendersonville Road, Asheville, North Carolina 28803. Weekend rates for the Downton Abbey Package can run anywhere from $277 to $427 per night, depending on type of room booked and availability. 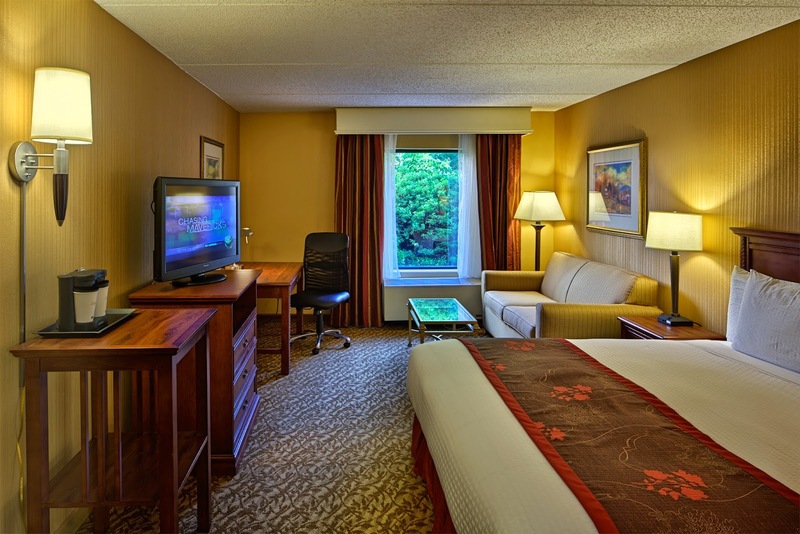 Regular non-package room rates range from $209 to $350 depending on room type and availability. Visit the DoubleTree Asheville Biltmore website to plan your Asheville getaway today, and also explore the Explore Asheville website to learn more about the area. Call the hotel at 828-274-1800 if you would like more information about the Downtown Abbey package and rates for booking. Learn more about the Downton Abbey exhibit at Biltmore from this previous post on the HinesSight Blog. Be sure to follow the #outaboutnc feed on Instagram, Twitter and Facebook. Tag your photos to be featured on these account. If you have problems understanding the Rafflecopter system, please email me at hinessightblog@gmail.com and I will help you. To enter, log in with your email address or via Facebook. Do the entries that would like to do then click on the blue box on the right side under each entry option in order for your entry to be recorded. Disclosure: Biltmore Farms has a wonderful selection of hotels in the area for all budgets. See my previous post about my stay at the Hilton Biltmore Park Hotel. Biltmore Farms is sponsoring this #outaboutnc giveaway. I have not personally visited this property yet, but it is the official hotel outside the Biltmore gates to offer an official Downton Abbey package.